Welcome... if you happen to cruise onto this page... I've moved to PRAYER CRONE. 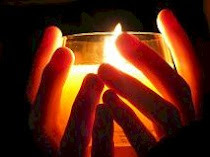 Please find uplifting thoughts and prayers, from the heart of the Crone HERE. I woke up feeling a bit groggy this morning. Got enough sleep, but have been running on high energy all week. Maybe it's time for a little self care... a perfect time to tune into my angels, guides, and God. You too, are invited to turn within, to allow the Divine Intelligence of the Universe to direct your thinking and your actions. May we stretch out today's moments of rest and meditation, feeling fulfilled, rested, and restored. May we be mindful of the balance we seek, that we rest into the soft support of our Angels, as we open to the guidance of our Guides, make good choices of actions, thinking, emotions. Where ever we are today, may we remember God is also there, holding us and supporting us. We've often heard Viktor Frankl's quote: "Everything can be taken from a man but one thing: the last of human freedoms - to choose one's attitude in any given set of circumstances, to choose one's own way." Or, also from Man's Search for Meaning: "When we are no longer able to change a situation, we are challenged to change ourselves." Sometimes we can't control our circumstances, we have to accept what is. But, what we DO have control over, is how we chose to respond to our situation. BUT! Do we remember that we have the choice? Do we remember to call on the Infinite Wisdom of God to help us make the highest choice. That's my prayer: Please God, help me see this differently. It doesn't always show up immediately... but when I claim my power to choose and celebrate the wisdom that guides me, I am truly 'Letting Go and Letting God be God in my life'. Sweet Blessings on a beautiful rainy fall morning. I'm all about Self Care these days.... to care for one's self is to truly care for God. As we allow our Inner Light express the presence of God in our thoughts, words, and actions... we are truly an Expression of God. We are love, peace, power, and life! We are all of this and more. Part of self care is listening to God's gentle guidance. It's being kind to ourselves. As we practice patience, kindness, and love for ourselves and others, we manifest the essence of God in the world. Centered in the Infinite we behold the Divine in others, embrace a life of goodness, and are truly a conduit through which others experience the essence of God and come to know fullness. Sometimes it seems easier to be kind to others, than to be kind to ourselves. We criticize ourselves more harshly, hold ourselves to impossibly high standards, then condemn ourselves for our perceived imperfections. You are invited to let go of the past and to embrace the Luminous Light within your heart. Let go of the past, your self condemnation, forgive and let go, and let God be God in your life. When we let go of the past and lay down our burdens and regrets, we open the way to greater good, which we are now ready to receive and to give. Allow your light to shine. The world needs your Light. God wants to know what are you waiting for? I give and receive with ease and grace. When I am in the divine flow of prosperity, I give and receive with ease and grace. Nothing causes me to withhold my gifts, whether they be financial, emotional, or simply helpful. As I feel led to give, I do so freely. I experience the joy of serving others with generosity. Equally important to the experience of prosperity is receiving graciously. When someone gives me a present, a smile, an offer for help, or a listening ear, I am fully present to receive the gift. I give the giver my full attention and express genuine gratitude for their thoughtfulness. I practice the prosperity principle of circulation. As I give, I receive; and as I receive, I give. I am blessed.